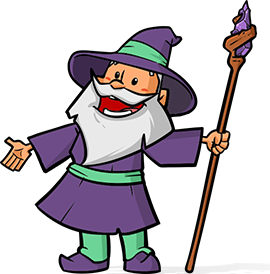 We’ve got some really cool updates for you this week including a couple 3rd-party resources that were too good not to share. 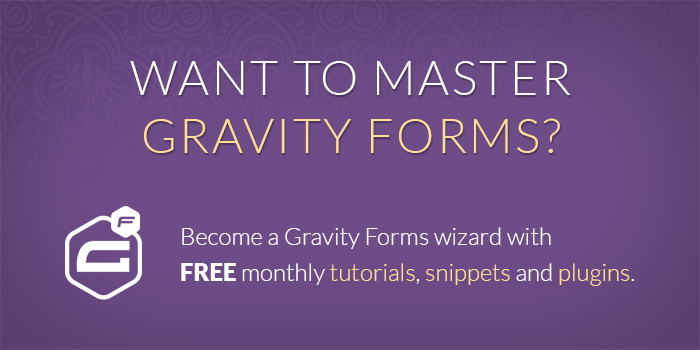 And don’t forget, the Gravity Forms Better User Activation plugin is right around the corner! Fixed notice generated when upgrading versions caused by use of deprecated Gravity Forms function. Updated GP_Boostrap to version 1.2. Updated Perk to be compatible with future versions of Gravity Forms. Fixed issue where no rows were added when Maximum Rows was not set. Fixed issue when copying from List field to read-only List field (via GP Read Only). Fixed issue with row count when copying from List field to List field. Added support for respecting List field “Maximum Rows” setting. Updated bootstrap for WordPress styling changes. The “Gravity Forms Payment Continue” plugin is a must own! It’s just incredibly useful. thnak you very much for pointing it out! This plugin is a must own for anyone with a PayPal payment form. It’s a marvel, I can’t thank you enough for your work! A very nice feature would be to able to send a “notification” email containing the link and everything to finalize the payment with a single click. That special kind of notification would be designed in the notificaiton panel of gravity forms. It would also be really handy to be able to send it automatically after a certain amount of time (if the payment is not completed after let’s say a couple hours, let’s send an email with the link to complete the payment). I suggested the same thing to Ethan. We’re not ready to pursue this just yet but I’ll let you know if/when we bring it to Gravity Perks. I let Guilamu know that there are merge tags already available in the plugin for your notifications and confirmations. I’ll also continue speaking with David about a formal marriage of the two in the future.